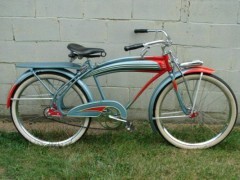 Drew Rollins full suspension Twin-Flex bicycle was the top of the line for Huffman in 1939. 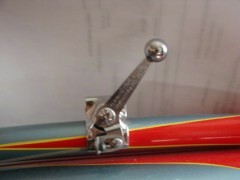 It is painted in it’s factory original colors. 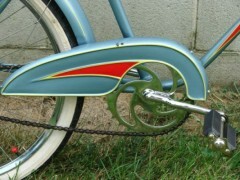 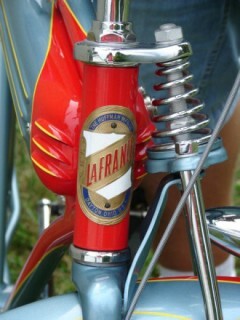 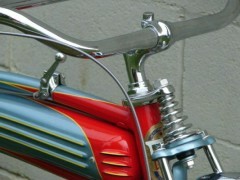 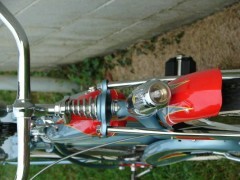 The paint was done by Dave Stromberger at Dave’s Vintage Bicycles. 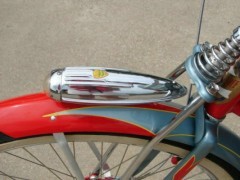 It is outfitted with a New Departure 2-speed rear hub and New Departure “WD” front brake, both items that were not typically found on the Twin-Flex bikes, due to the fact that modifications had to be made to the bikes frame and fork in order to fit them. 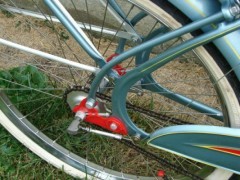 New Departure two-speed hub shif lever. 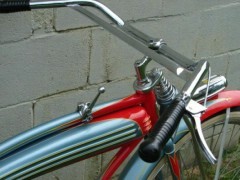 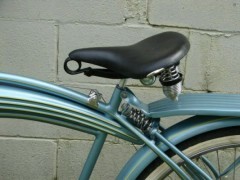 Messinger B-1 Deluxe bicycle saddle.